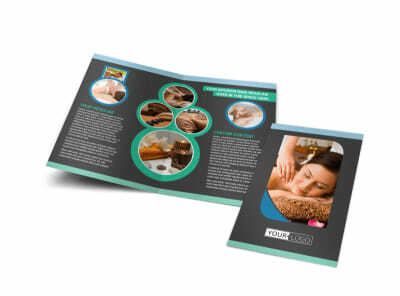 Customize our Massage Therapy Spa Postcard Template and more! 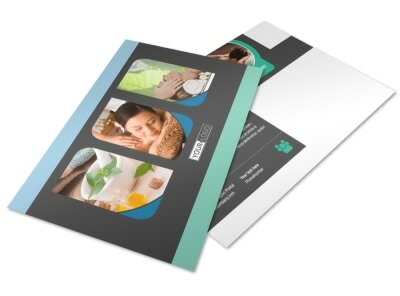 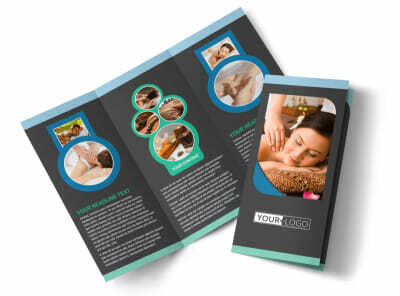 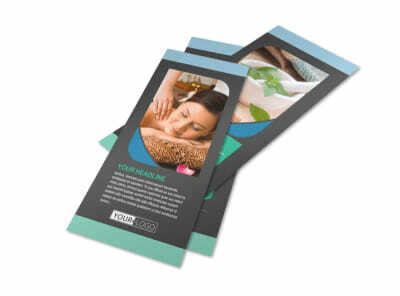 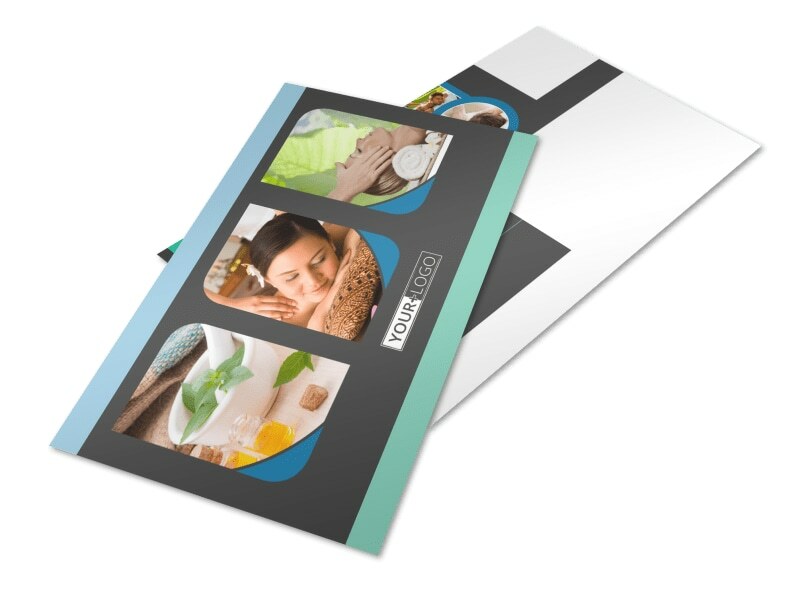 Help your target market envision being pampered by you when you market your services using massage therapy spa postcards. 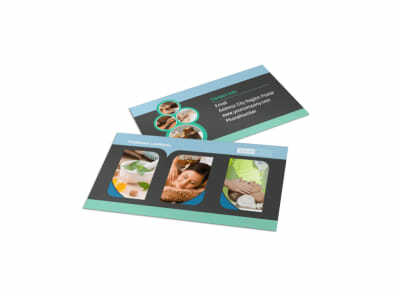 Design your postcards in minutes using our online editor and your choice of template. 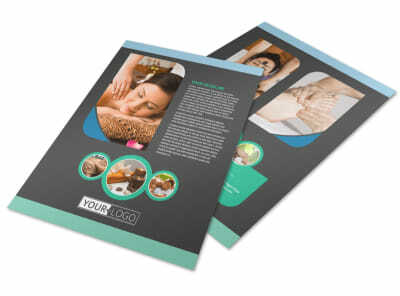 Insert text in your choice of fonts, colors, and sizes, detailing your specials, new treatments, and more, and then add graphics and photos to make your design pop. 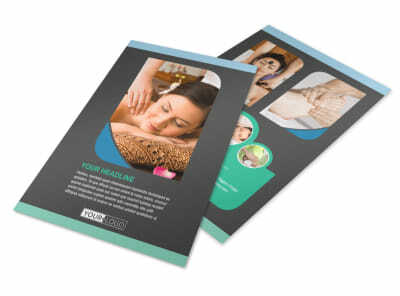 Start the fun, easy design process today.